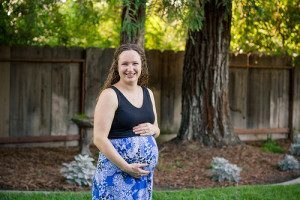 How did I lose weight after pregnancy? During my pregnancy I gained a lot of weight, and as everyone else I had this fear of not getting back into my pre pregnancy weight. Many people told me that I will lose most of my pregnancy weight after delivery, I only lost around 6 kilograms. So, there were 14 kilograms left! Most of my life I was the athlete kind of person and I never imagined myself in that shape! I would see photos of me before pregnancy and look at myself with an extra 14 kilograms! That was so devastating! I decided to lose all the weight, and I went to a nutritionist after 2 weeks of delivering my baby which was totally insane. She advised to postpone it for couple of months, but I insisted. I started the diet she prescribed for a whole month, unfortunately it didn’t work. Because of the unstable hormones; as the nutritionist explained. My first attempt was a failure. And actually, it was wrong to start any diet at that time because my body needed lots of nutrition and vitamins to recover from pregnancy and delivery plus certain foods were needed to increase my milk supply which were high in fat and carbs. After 40 days of delivery, after being checked by my gynecologist and taken his approval to workout [specially that I had a C-Section], I started to have some walks around the house and gradually these walks turned into runs. I tried to move as much as I could so my muscles gain their strength again. My weight was going down really slow. But, I kept reminding myself that it took me 9 months to gain all that weight, so it will need minimum the same period of time to lose it. After 3 months of delivery, I was ready for the gym. And that is when my body weight started to go down, finally! I was consistent and I didn’t miss a day from my program. I went 5 days a week for three months; 3 days were dedicated for machines and 2 days for cardio exercises. After 6 months of delivery, I nearly lost all my pregnancy weight. And only 4 KG were left! I stopped going to the gym as I started fasting, as I didn’t fast Ramadan and I had to redo all the fasting and it was difficult to fast, breastfeed and exercise all at the same time. I was fasting 3 days a week, so it took me around 3 months to finish 30 days. And after that I lost all my pregnancy weight. It took me exactly 9 months to lose all the weight which was the same period to gain it! Fair enough, I thought! Gaining weight was much easier than losing it LOL. Ladies, eventually you can lose your weight after pregnancy. So, don’t panic! Just give it priority, and the sooner you start working on it, the better you will feel about yourself and your body. That’s my story with losing my weight after pregnancy. Share with us what’s yours, what did help you and what didn’t?